Cupcakes 'n Daisies: BOM Rehab - MoP . . . Since I've finished all the focus blocks for Memories of Provence, the only thing left for this week's BOM Rehab was to start on the setting blocks. Here's my first block. I need 19 more. 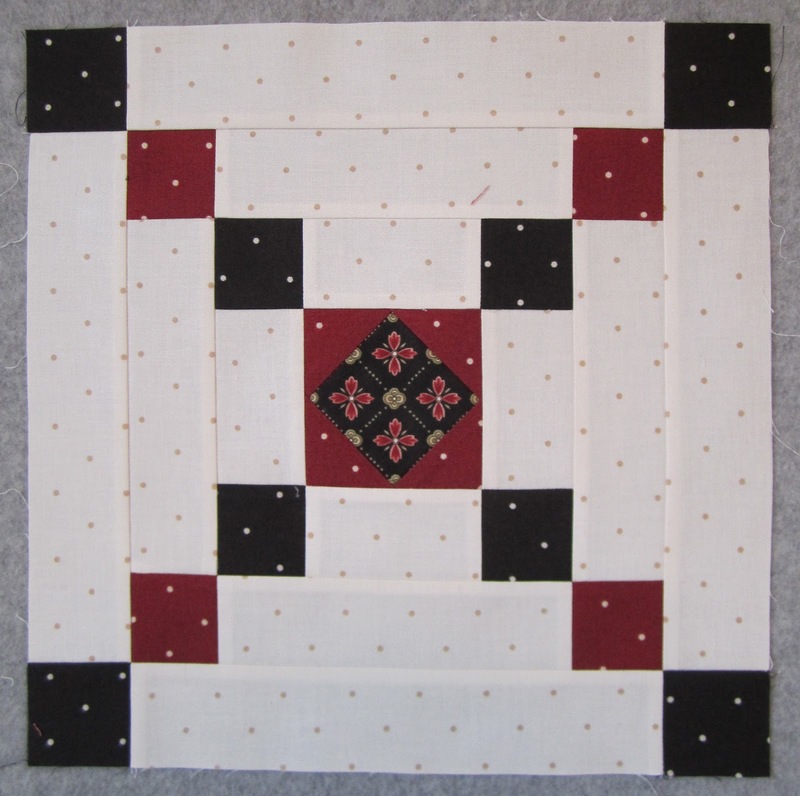 The pattern calls for all the corner squares to be black, I substituted some red. 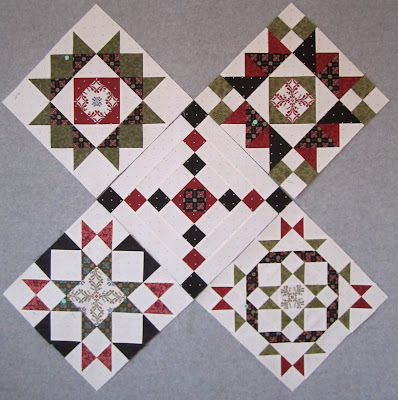 I'm also going with a different fabric for the center square, and intend to fussy cut each one of them to look exactly like that. This block only has 29 pieces, they should go fast. Here's a little feel for how things will look when all the blocks are done. Sinta, thanks for hosting your BOM Rehab! I may get this quilt done this year thanks to you! Thank you also to all the veterans and their families for the sacrifices they have freely given and continue to give, I think of you often but particularly today. You have such a good eye for pattern and color. This quilt is going to be a "knock-out" beauty!! 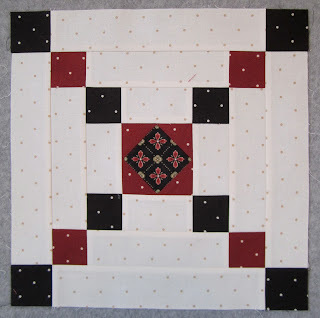 I love the alternate block... and that you switched out some black and added the red into it! I am excited to see your MOP getting so close to being finished Thelma!!! It's beautiful. Wow! This is going to be stunning when it's completed! Love it! This BOM was offered by my LQS but I have so many projects I passed. Seeing yours makes me wish I had signed up, it is lovely. I love your addition of red in the alternate blocks. Absolutely beautiful! I like how you substitute and make the quilt special to you. looking good glad to see your working on your ufo's maybe I should be too! btw fussy cutting that center really makes the block in mho! Love the blocks and the crisp look of the colors.